Start young. If you have a new kitten, make sure they have a carrier that is a part of their everyday life. The carrier should be left out and accessible to the cat at all times. Consider the carrier to be the cat’s bedroom. Put a bed or fluffy blankets in there, as well as toys and treats. To get them used to entering a carrier for the first time, try feeding their meals in the carrier so they understand it is a happy and safe place. Make sure to leave your cat or kitten alone if they have chosen to lie inside of it (this is important for children to know). 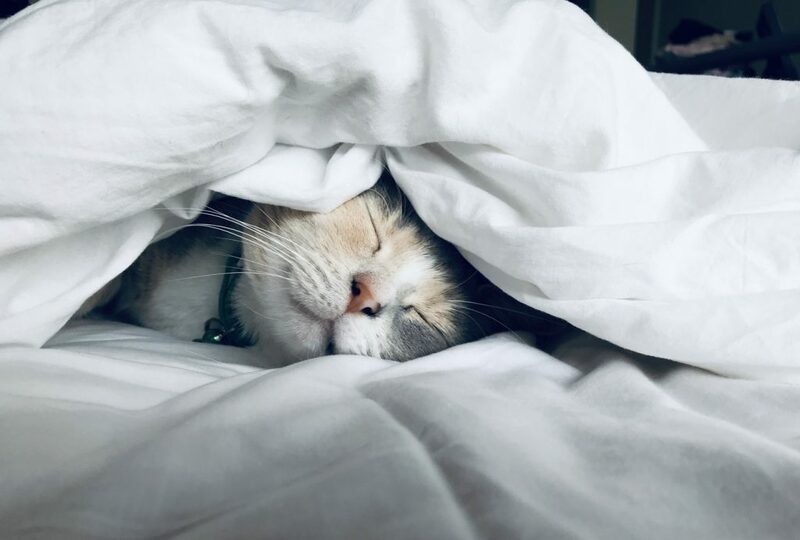 You may also find that covering the carrier in a towel or blanket allows it to be darker and warmer which contributes to the feeling of a “den” for the cat. When the time comes to take the cat to the vet, they will not be afraid of going into the carrier. Most people only use the carrier when the time comes to take the cat to the vet. This practice increases stress because the cat will associate the carrier with stress if they only go into it once per year. We often hear people say when they take the carrier out of storage, the cat runs away and hides (sometimes the owner then can’t find the cat and misses the appointment!). This is the very reason the carrier should be a part of everyday life. Once it’s time to get in the car, make sure to face the carrier towards the front. Front and back movements are less likely to cause nausea versus side to side movement. You may find it helpful to place the carrier where the cat can see out the front window. Covering the carrier with a blanket may be necessary for the winter, especially with a windchill. Conversely, cool down the car before putting the carrier in it during the summer to prevent overheating and stress. At our end, we like to book cat appointments at a time of day that is quieter. Feel free to request this when you book the appointment too. We like to try to get your cat into an exam room as quickly as possible so they don’t have to see too many people or dogs walking by. You can leave the cat in the car for a moment to come and check in, and if the exam rooms aren’t quite available yet, you may request we phone your cell when we are ready so that you can stay in the car with your cat to wait. There are a few products available that also reduce stress in cats. Feliway is a spray that mimics “happy cat pheromones”. You can spray the inside of the carrier with it, or the blanket that you cover the carrier with. Thunder Shirt is a snug-fitting shirt that is similar to swaddling babies. It creates a sense of comfort during stressful events. Before the appointment, be sure to allow your cat to use the litterbox if possible. Try not to feed him or her within a couple hours of the car ride. Some cats will vomit in the car from nausea or urinate/defecate from stress. Having eaten a recent meal increases the chances of these unfortunate accidents. Desensitization is a training method that allows our pets to get accustomed to new things. 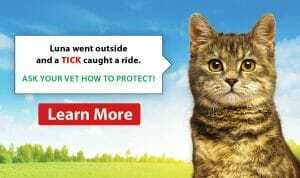 Leaving the carrier out every day desensitizes them to its presence; frequent car rides desensitize them to the car, and frequent visits get them used to the sounds and smells of the vet hospital. We encourage you to stop by for a visit once in a while, where we can weight the cat and give them a toy and/or a treat. 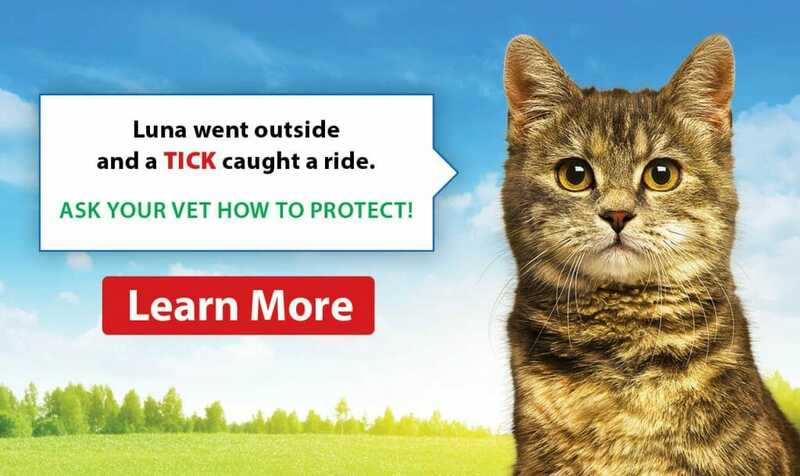 This may go a long way to not associate the vet with needles or too much handling. Understandably this may simply be too stressful for some cats. It is important for the veterinary staff to have relaxed cats during their examinations. 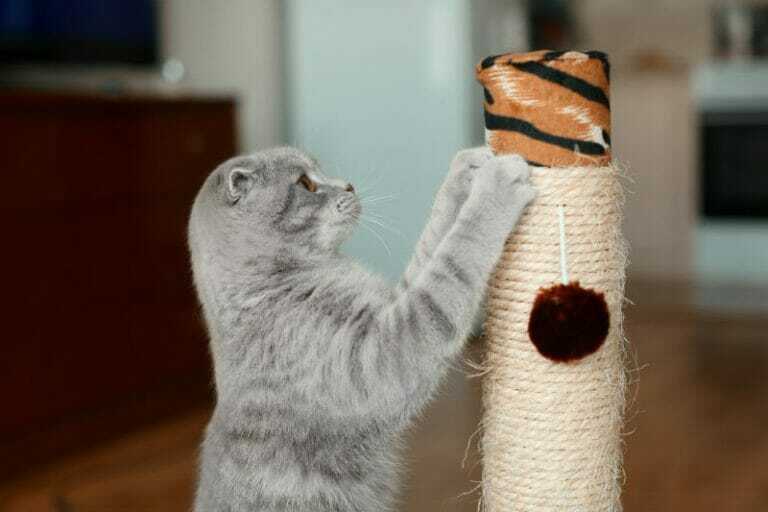 Stress can cause cats to act fearfully (which they may have never done in their life before) and they may scratch or bite either the staff or their owners. Taking steps to reduce stress will go an awful long way. One final trick that we use when it’s time to go home at the end of the appointment and your cat doesn’t want to go back in the carrier – put them in the carrier backwards! It works almost every time.